Located on the banks of the Chattahoochee, Columbus boasts a historic past that runs as deep as the river itself. But peer closely into the murkier parts of Columbus's history, and frightening stories begin to emerge. 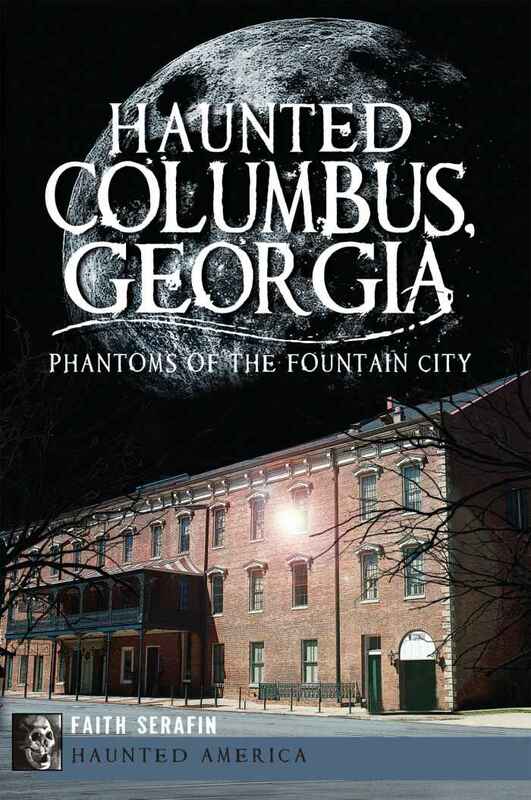 Join author and ghost hunter Faith Serafin for a chilling look into Columbus's haunted past. There's the regal Springer Opera House, where ghosts creep in the shadows of elaborate balconies. Visit the historic home of Columbus native and blues legend Ma Rainey, where some say the songstress can still be seen playing her original piano. Then there's the Phantom of Eubanks Field, whose ghastly apparition tries to frighten soldiers at Fort Benning. These terrifying tales, and more, await in this collection of haunting stories. Faith Serafin is a volunteer at Port Columbus-National Civil War Naval Museum and official tour guide of the Sea Ghosts Tours. She researches and writes about the haunted history of Georgia and Alabama. When: Friday, October 20th, 2017 at 6:00 p.m.